Dubai: Aldar Investments announced on Wednesday it will be acquiring full ownership of Etihad Plaza and Etihad Airways Centre from Abu Dhabi’s Etihad Group for Dh1.2 billion. The transaction is expected to complete in the second quarter of this year, and will come in exchange for transfer of full ownership of Etihad Headquarters to Etihad Airways. The three buildings were previously held in 50/50 joint ventures between Aldar and Etihad. As part of the transaction, Aldar Investments, a subsidiary under the publicly-listed Aldar Properties, will assume existing debt within the Etihad Plaza and Etihad Airways Centre. The company said full ownership of these assets will enable it to recognise an annual net operating income of Dh100 million, which were previously reported as a share of profits from the joint venture. For loss-making Etihad Airways, the sale comes amid restructuring plans as the carrier aims to turn around from the $1.52 billion in losses reported in 2017 and the $1.95 billion in losses a year earlier. As part of those plans, Etihad is also restructuring “a large portion” of its aircraft orders from both Boeing and Airbus, it said two weeks ago. Edward Carnegy, director — head of Savills Abu Dhabi, said the deal was a “win-win” for both Aldar and Etihad. “Aldar gets grade-A assets in a prime location, with the benefit for a strong covenant. Etihad gets to take two of their assets off the balance sheet, giving them a much-needed cash injection,” he told Gulf News. Carnegy said there aren’t many investment-grade opportunities in the real estate market in Abu Dhabi, Dubai, or Sharjah at the moment, so the investment is a good one for Aldar. The deal marks the first major transaction for Aldar Investments, which launched operations in September 2018. 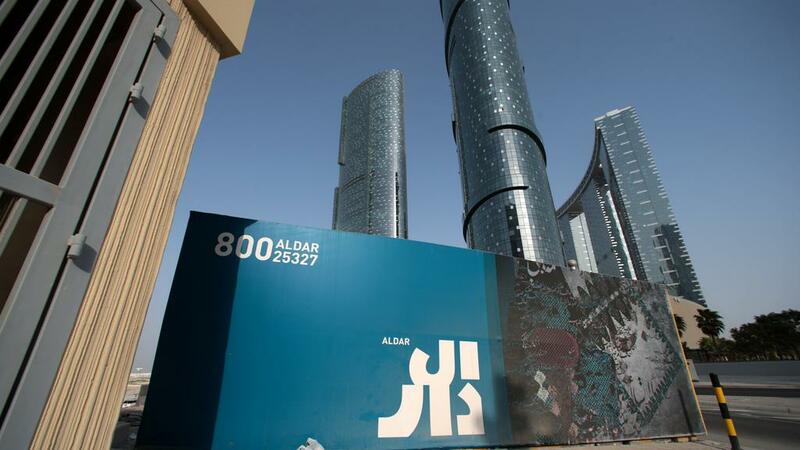 It will add 789 residential units, 17,940 square metres of leasable area of office space, and 11,000 square metres of leasable retail space to Aldar Investments’ portfolio. Jassem Busaibe, chief executive officer of Aldar Investments and chief investment officer of Aldar Properties, said the acquisition of Etihad Plaza and Etihad Centre allows the company to “drive value,” and enable “greater capital efficiency, grow net operating income, and ultimately, free cash flow” for future dividend.